Android smartphones were made for music: with their fully-enabled multitasking feature, expandable memories and unrestricted choice, an Android phone makes iPods and mp3 players obsolete. Factor in Spotify and you have access to million upon millions of high-quality streaming music tracks. 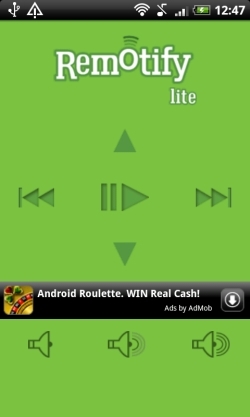 As well as the official Spotify Mobile app, an increasing number of Spotify-related apps have appeared for Android. Here’s a look at what’s currently available. Remotify Lite is a basic remote control for Spotify desktop. To use, install the app onto your phone then download the server from the Remotify website. Fire up the server (Rserver.jar) then take a note of the IP address in the window title bar. Enter this number into the Remotify app then click the Launch button. Start Spotify on your desktop (note you must keep this as the active window) then use Remotify to control the music: it’s as simple as that. Remotify Lite is light on features (it doesn’t display track names for example), but its ease-of-use and clean interface makes it well worth checking out. ReSpot is another remote control app for Spotify desktop. It’s more complicated to set up compared with Remotify Lite, but provides many more features such as search and a browser that displays playlists and track names. To use, install the app on your smartphone then download the Servify server from the ReSpot website. You need a Spotify Premium account to use ReSpot, and you’ll also need the Microsoft .NET framework installed if you want to control Spotify on a Windows PC. 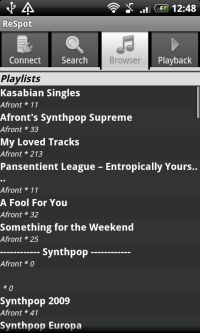 All going well, Servify displays a message to indicate that it has logged in to Spotify OK.
On your smartphone, start ReSpot, enter your PC’s local IPv4 address (use the ipconfig command if you don’t know it), then click Connect. You should see some messages indicating that the client has connected OK.
Once you’re up-and-running, you can use ReSpot as a remote client (you don’t need to have Spotify running on your desktop). You can search for songs and browse through your playlists and click song titles to enqueue them. You then switch to the Playback tab and click a song title again to listen. Respot came a respectable third place in this year’s Spotties Awards, but it’s clearly still at an early stage of development: I spent quite a while getting this working and persevering with all the crashes, disconnections, and menu options that don’t appear to do anything yet. But when it works ReSpot does do a pretty good job of emulating the Spotify desktop client on your Android phone. Spotify Remote is another remote control app. From the screenshots and description it looks pretty good: there’s search and playlist tabs, album art and options to autoconnect. It also claims to work with all versions of Spotify, not just premium. Unfortunately I could not get Spotify Remote working: whenever I start the server I get an error message about component mswinsck.ocx (I’m running Windows 7 64-bit) and “socket is not connected” error on the app itself. Give it a go yourself though: there seems to be some pretty good support on the website and the app has some great feedback in the Android Market. Spotify Alarm is an app that lets you wake up to specified song on Spotify. Unfortunately I’m not able to test this as it’s not in the UK Android Market and the barcode on the webpage leads to an app for calculating fuel consumption! With MusicSleep, you can listen to music on Spotify while going to sleep. 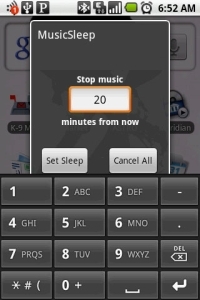 After a pre-determined time, MusicSleep will switch off the music for you. To use, start the app then set the timer: for example, 30 minutes. Start up Spotify then play your favourite going-to-sleep music. Lie down, close your eyes, then drift off… when the time comes, MusicSleep gently fades out the music then quits Spotify for you. 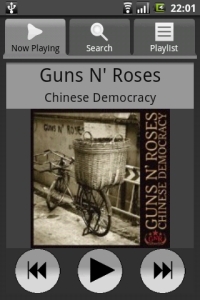 You can also use it with the regular music player, Pandora, Last.fm and a host of other music playing apps. Note that MusicSleep costs $0.99 US.